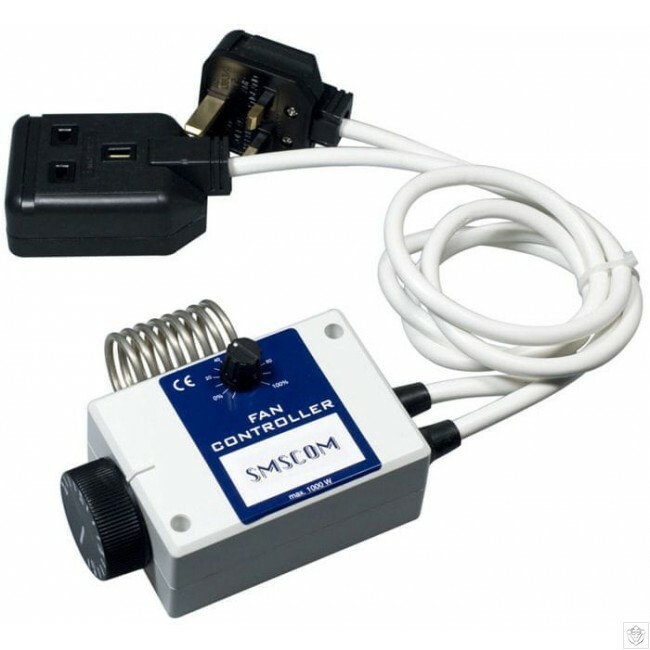 This fan controller is for grow rooms where an extractor fan is being used to draw air out of the grow room but no fan is being used to draw air into the grow room (a passive inlet). When you plug your extractor fan into the controller it will adjust the fan speed to provide constant air flow and maintain your chosen temperature. Simply plug your extractor fan into the controller and lower the fan speed. Then set the temperature you wish your room to be. The extractor fan will then run at the lowered speed unless your set temperature is reached, when this happens the fan speed will increase to full to maintain the set temperature. When the temperature has been corrected the fan speed will reduce to your original set point.